On the 6th of August, a round table, discussing AREU’s recent researches on opium was recorded and broadcasting through one of Afghanistan’s leading TV channels, 1TV. Guest panelists participated in the round table discussion, included (1)deputy minister for counter narcotics, (2)agriculture ministry’s head of alternative livelihood, (3)former counter narcotics official now independent expert on opium and (4) AREU’s deputy director for communications and advocacy. The round table run for close to one hour and broadcasted twice during one of the most-watched air times. The audio on the round table has been given to Killid Group, which will be telecasted via a number of local radio stations across the country, through Killid Group’s local media partners. you can watch this debate by copying these links in to your browser. On the 27th of October, AREU arranged for recording of a one-hour-long debate on AREU research on Water Conflict Management, with the private TV station 1TV. Mujib Azizi from AREU, along with two independent experts Mr. Fahim Massoud and Naseer Faiz on Water issues in Afghanistan took part in the debate. The debate was telecasted twice, first Friday night (31st October) and then on Saturday (1st November). you can watch this debate by copying this link in to your browser. On May 1, 2014 AREU briefed the national and international media outlets on findings of its new research entitled ‘How do social protection and labour programmes contribute to social inclusion in Afghanistan’. Afghanistan Times and ArzoTV picked up on the story. Deputy Director of Communications and Advocacy Mir Ahmad Joyenda and Shukria Azadmanish (Gender SRA) briefed the media on the findings of report. 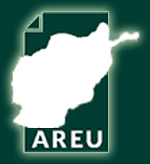 On 18 December 2013, AREU launched its new report entitled ‘Water rights and conflict resolution processes in Afghanistan: the case of Sar-i- Pul sub-basin’ to media outlets. The event was attended by media representatives of Pajhwak News Agency, ToloTV, The Killid Group, Khorshid TV, Noor TV, 8 Subh, Noor TV, Shamshad TV, and NPR. Local news outlets Noor TV, Khorshid TV, and Ariana TV picked up on the story. Mir Ahmad Joyenda Deputy Director of Communications and Advocacy and Mujib (EC SRA) briefed the media on the findings of report. AREU and selected panelists: Palwasha Hassan, Gender Specialist; Mohammad Farid Hamedi of AIHRC; Shafiqa Habibi, Journalist; and Manizha Wafeq, Business through Peace, briefed national and international media outlets on AREU’s most recent report entitled “Women’s Economic Empowerment in Afghanistan 2002-2012: Information Mapping and Situational Analysis”. The event was attended by media representatives such as, BBC Dari, Ariana TV, Salam Watandar, Khorshid TV, VOA, Radio Free, Tolo TV, Noor TV, Pajhwak News Agency and Farda TV. Local news outlet Tolo TV picked up on the story with an interview with Mir Ahmad Joyenda. The aim of the press conference was to draw attention to the various ways in which the economic engagement of women has been addressed in the past decade and provide recommendations for enhancing women’s economic potential in the unfolding economy of Afghanistan. “Balkh’s Economy in Transition” – Stepping onto unstable ground? AREU launched its recent titled “Balkh’s Economy in Transition” through a press conference on August 21, 2013. The report was widely covered by media and therefore generated a debate on consequences of transition on Afghan economy. Local media outlets dedicated significantly larger airtimes to the story are included Tolo TV, Tolonews, Arzo TV and newspapers such Hasht-e-Subeh and 2014 weekly. The aim of the conference was to draw attention to the economic implications of Transition as the focus till date has primarily been on security and governance. The Afghanistan Research and Evaluation Unit (AREU), on 29th November 2014, hosted a seminar on “Ten Years of the Constitution” as part of AREU’s “Afghan Constitutional Analysis and Dialogues Project”. The Project disseminates research on constitutional crises that took place over the past decade, and analyses underlying legal and political issues. Local outlet 8am picked on the event.